Fly tipping is defined as illegally throwing away waste on a piece of land without consent from the owner of that land. This habit is prevalent in rural areas which have vast land or woods to dispose off the trash. However, the menace is also common in the towns. This activity is treated as a criminal offence and regardless of where it is taking place, where in the middle of the streets of London, or the deep woods in Essex or Surrey, the effect on the environment remains the same, adverse, severe and deep! The natural, social and economical environments suffer equal harm when foreign and unwanted trash is dumped in the wrong place. If there are any chemicals in the waste that is wrongfully disposed, it can contaminate the soil in that land and have a disastrous effect especially if that land is used for growing food for human or domestic animals consumption. Even if the land is used for recreational purposes, like a park, the waste can still have serious effects on those using the park. If fly tipping is done in the forests, it can adversely affect the wildlife that depend of that forest as a habitat. The health of the people around where fly tipping is happening is also at risk. If the waste has something that a mice can ingest, then pest control can also become a nightmare with infestations of rodents in the homes. It is also easy to have disease outbreaks originating from the fly tipping menace. For instance, when a rodent ingests such waste, it will crawl back into the sewer and move from one house to another, especially in an urban place, where houses are built in a close-knit setup. Those people who fly tip are keen on looking for a location where they will not be seen and therefore they can get away with it. They will in most cases look for remove, quiet and deserted locations to carry out this illegal activity. They hardly have a second thought that what they have done will affect the surrounding environment negatively. An example of such an effect is blockages that arise from fly tipping done in rivers or canals. This is such a health risk for those in such an environment. In most cases, we ignore a shopping trolley damped in a urban canal, mostly because it is a ‘common’ sight, but if any foreign element brought into such an environment will affect the birds, ducks and any other wildlife that relies on that canal. Majority of the fly tip waste is hazardous materials mostly because those disposing it may not be aware of any safe ways to get rid of such substances. Every time we encounter a fly tipping incident, we are heartbroken at Enviro Waste. We would like to eliminate waste from landfills, but the alternative is not filling up the streets with the waste. 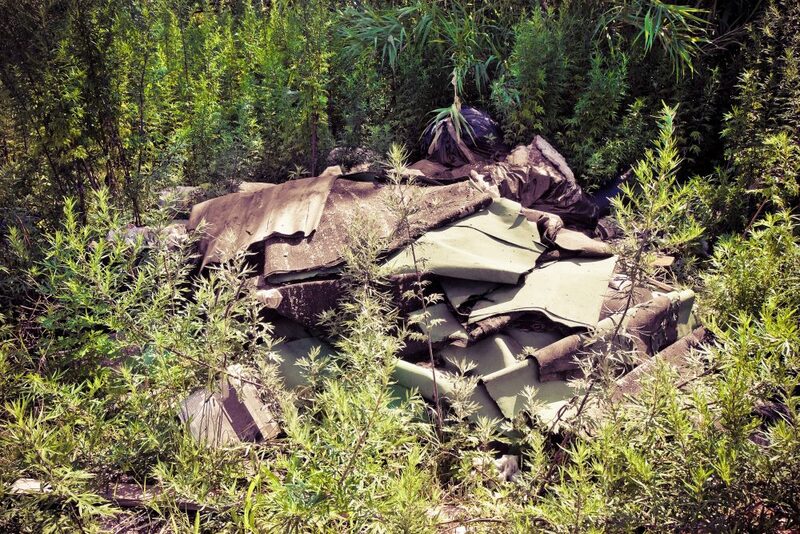 We provide fly tipping removal services as a comprehensive package which ensures that the waste is managed and disposed in a secure and safe manner. This is in an effort to restore the environment to its original beauty.